Ford first introduced the Stromberg ”48” carburettor in 1934 that had a venturi size of 1.03” followed by a slightly smaller version of the same carburettor in late 1936 with a venturi size of .97 in a bid to make the engine more economical that lasted until the 24 stud engine was introduced in late 1938. The 97 was originally rated at 150 cfm and always the hot rodders favourite because it was easy to work on and was easy to modify to use methanol and they are shorter in overall length so they will fit in multiples where the later 94 carburettor possibly will not. With the resurgence of nostalgia cars multiple carb are again popular and the humble 97 were becoming hard to find. The name Stromberg was dragged out of the bottom draw and sold to an enterprising Brit called Clive Prue who has spent a long time and considerable funds to recreate the 97 upgrading it along the way, it still looks the same on the outside but more refined on the inside with all the bits on the outside made from stainless steel and are available in original look, a tired barn find look or chromed. To add to the package they also supply stainless steel linkage kits and fuel line kits as well. Speedway Motors decided they wanted a piece of the action and had a cheaper version made in China called the Super 97 and while they look quite similar do not work as well in Multiple setups. Not to be outdone Stromberg came out fighting with a bigger version, and physically the same on the outside has been cleverly modified on the inside to make 250 cfm where their original version was rated at 162 cfm. 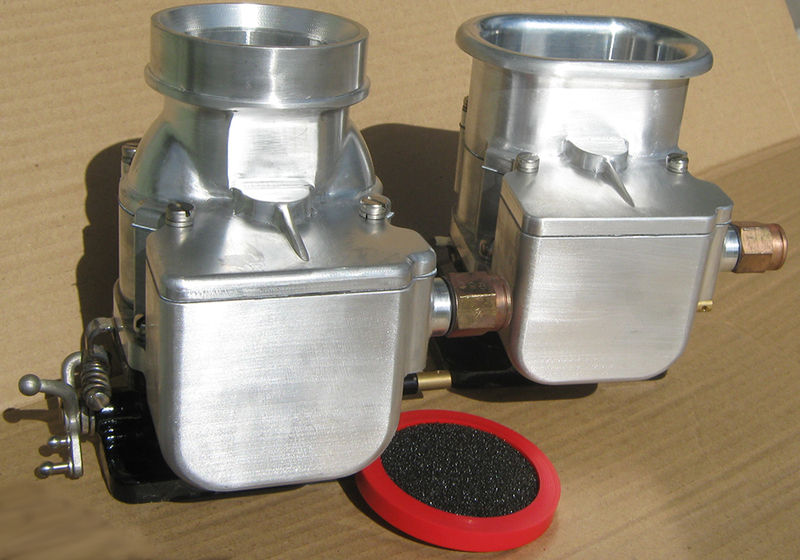 It is now 2016 and Flatattack Racing Products has taken up the challenge to build a better mouse trap by introducing an E97 carburettor look alike. 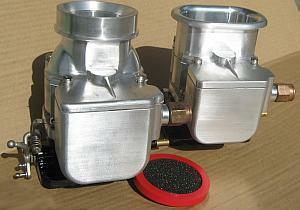 What looks like a carb is in fact a throttle body disguised to look like a carburettor. 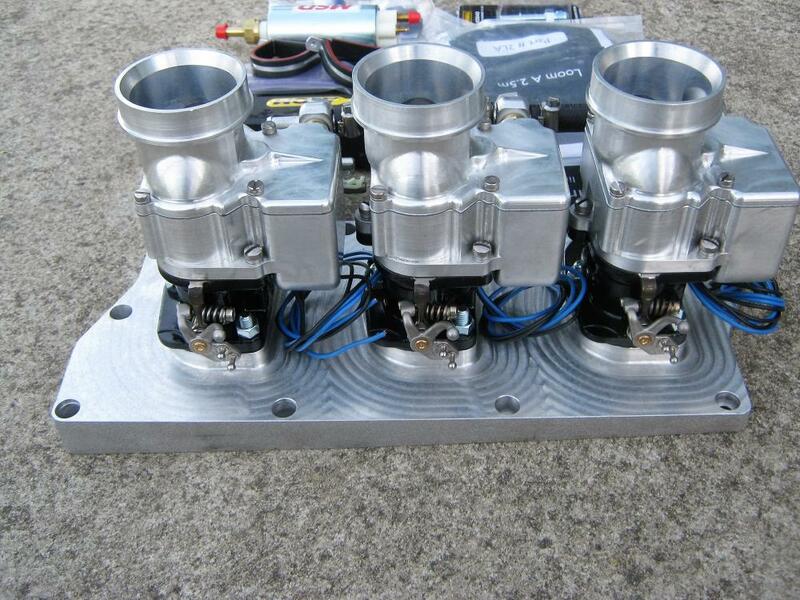 The cast iron base is supplied by Stromberg in 162 and 250 cfm styles the centre section and top are both made from billet aluminium, but inside are two Edelbrock injectors. 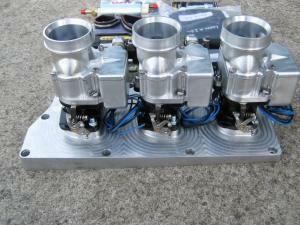 Flatattack has dragged the humble 97 carburettor into the 21st Century so that hot rodders can enjoy driving their hot rods with the same efficiency as their modern fuel injected cars. The body and top can be polished, powder coated or painted in 2 pack as their is no raw fuel inside them the surface will not deteriorate. 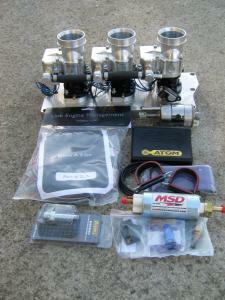 coolant temp sensor & switching device & instructions. The injectors fitted are good for at least 50 HP each, if this is insufficient the fuel pressure can be increased and or higher flowing injectors can be purchased.